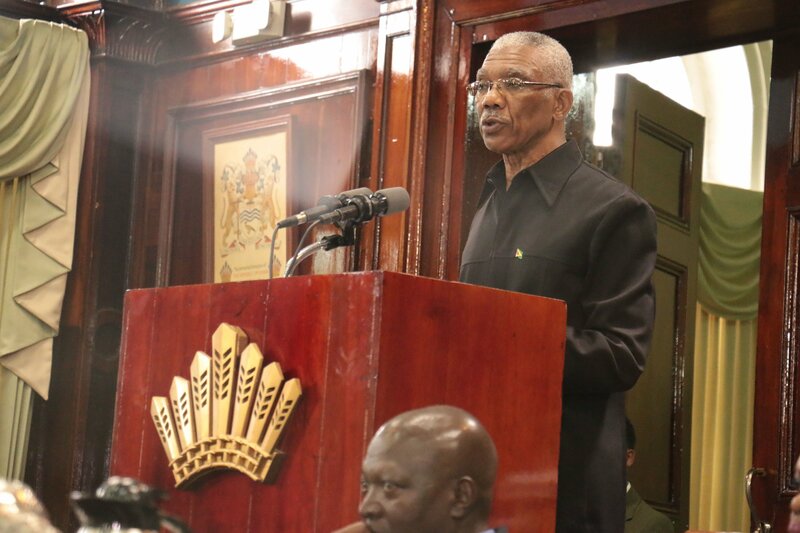 President David Granger, this morning (22 December 2018), said the Government of Guyana will abide by the stipulations which have been imposed on it following the passing of the no-confidence motion last night in the National Assembly. In a statement from the Ministry of the Presidency the President said that his government will embark on discussions with its coalition partners the Alliance For Change (AFC) and those who are part of A Partnership for National Unity (APNU). “We will do everything necessary to facilitate the smooth functioning of General and Regional Elections bearing in mind the need for normal governmental functions to continue uninterrupted,” Granger said. Moreover, the President said, “This is a constitutional process which can have favourable outcomes for the nation… There is no cause for alarm and there are no grounds for any form of disorder and we will continue to work to provide a good government and deliver public services to the people and to work even more closely with the opposition”.“Mr. Jagdeo contacted the Minister of State and a meeting will be arranged as early as possible so that his concerns can be addressed,” the Head of State added. President Granger said too that he met with some ministers this morning, who will henceforth be engaging the AFC ministers.